Equity is a complicated topic. People discuss owners equity, available equity, equity loans and a bunch of other things that relate to using equity. For the average investor this is REALLY confusing. So I have created this dummies guide to equity to really give you a base level understanding of exactly what equity is. Why even use the term equity? How do you access equity? What is “available equity” or “useable equity”? Do you pay tax when accessing equity? I could put a technical definition in here but I think we can make it simpler than than. While this explanation may not be 100% technically accurate it will help give you a better understanding of equity. 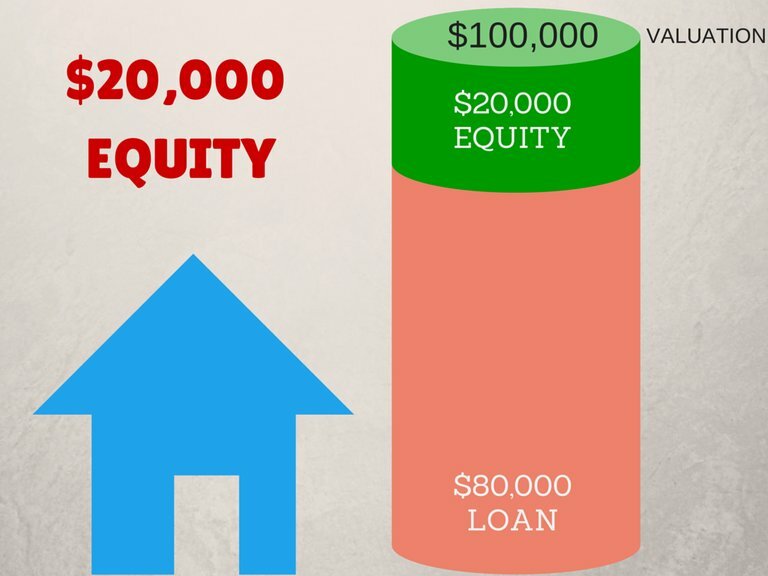 Equity is the part of your property you don’t owe the bank money for. It’s easiest if we first look at a property with NO equity at all. Below is an image of a $100,000 property with a $100,000 loan attached to it. 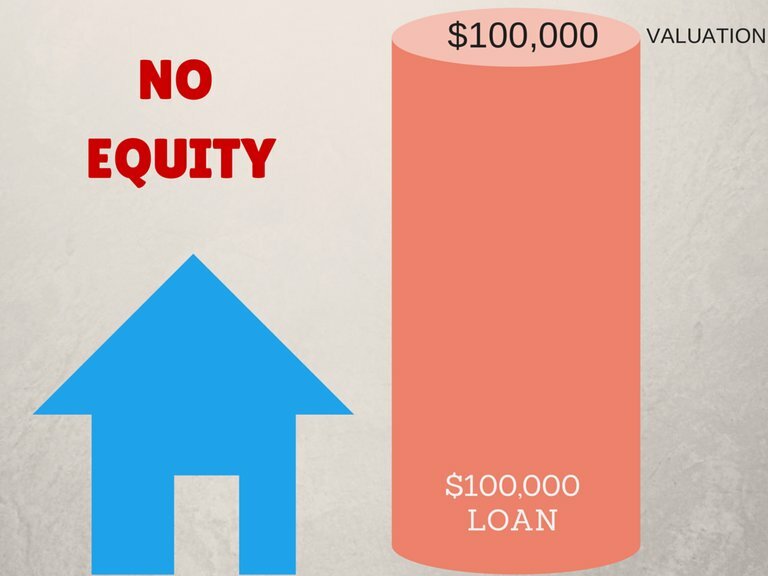 Because you owe 100% of the value of the property ($100,000) to the bank then you have no equity. Now let’s say our great aunt dies and leaves us $20,000 and we put that money onto the loan of our property. 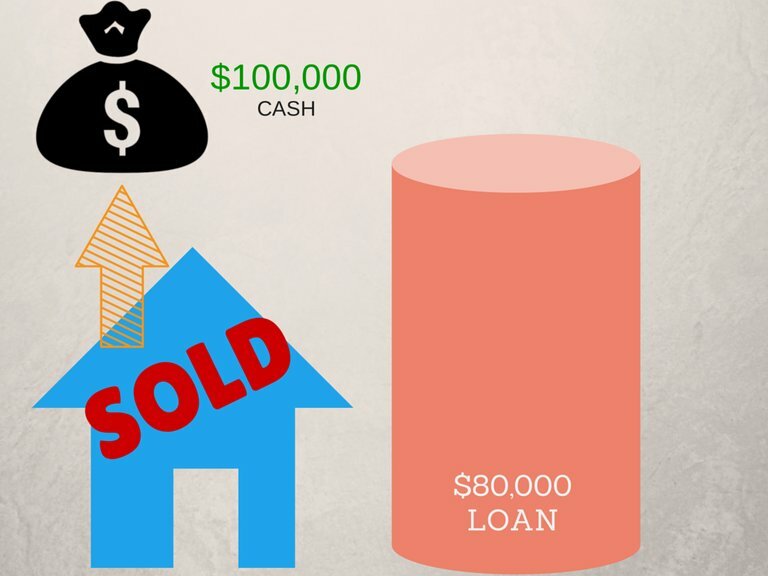 The below example shows that our loan is now only $80,000 because we paid off $20,000. This means there is $20,000 of value that we don’t owe the bank for. This is our equity. Now let’s imagine we are 20 years in the future and we have paid off our loan completely. We owe $0 to the bank. 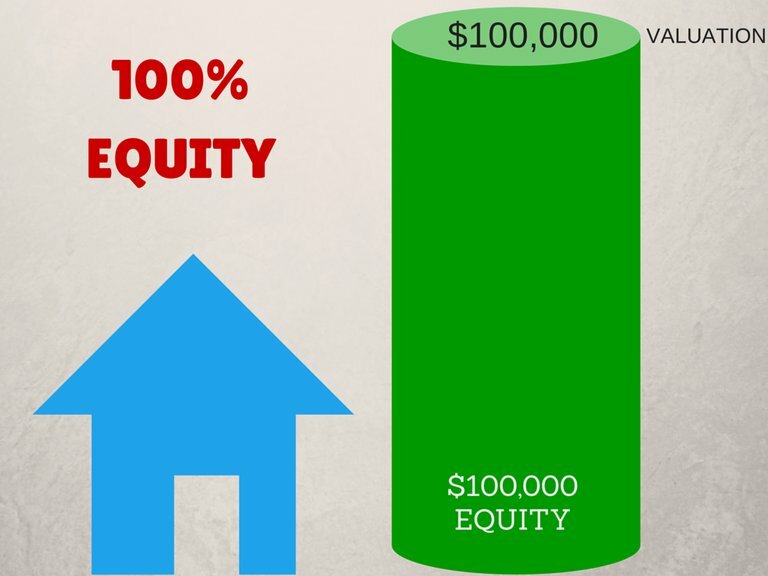 We now have “full equity” or “100% equity” in the property. In this case we have $100,000 in equity. Remember, equity is any value where we don’t owe the bank money for that value. Because we don’t owe the bank anything the full $100,000 is our equity. Why Use The Term Equity At All? It’s important to understand that equity is a “mental concept” and never ACTUALLY exists in a physical way that you can see and touch. You rarely hear people talking about equity when investing in stocks. So why talk about it when investing in property? 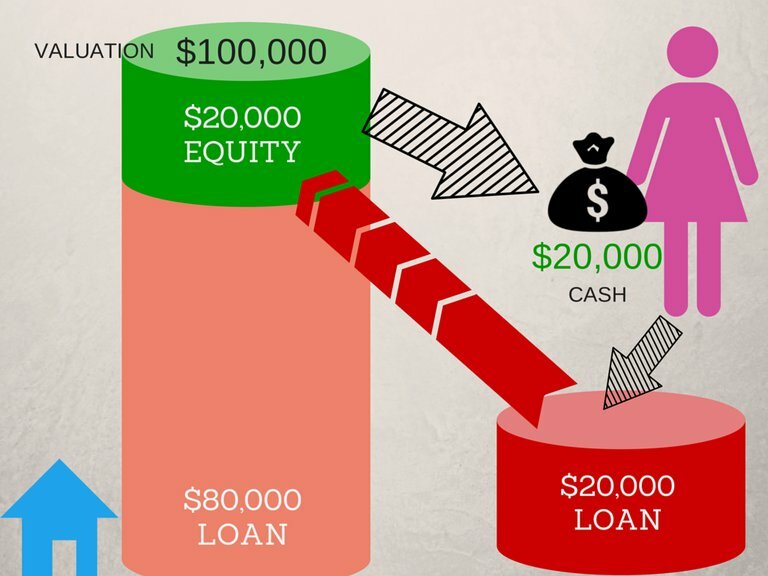 Because investors want to get access to more money without selling, and because banks and lenders want to create more loans the concept of equity was invented. 1. As an investor is allows you to access money as your property grows in value. 2. For lenders ‘equity’ gives them security for their loans. If this doesn’t make sense yet don’t worry I will explain that in more detail below. When it is just “equity” it isn’t real cash. It is just a “mental concept” that our property is worth $X more than what we owe the bank. When you sell your property you receive cash. This effectively turns the FULL VALUE of the property into REAL CASH. In the example below we owed the bank $80,000 and we had $20,000 in equity. We then sold our house and received $100,000 in cold card cash. But we still owed the bank $80,000. We then give the bank their $80,000 and we get to keep the $20,000. This equity is now real cash. The other way we can turn this “mental concept” of equity into something tangible is to create a bank loan. People call this “accessing equity” but what they REALLY MEAN is “getting a new bank loan”. The only reason they call it this is because the bank is using the “increased value” or “equity” to act as SECURITY on the loan. Aka. 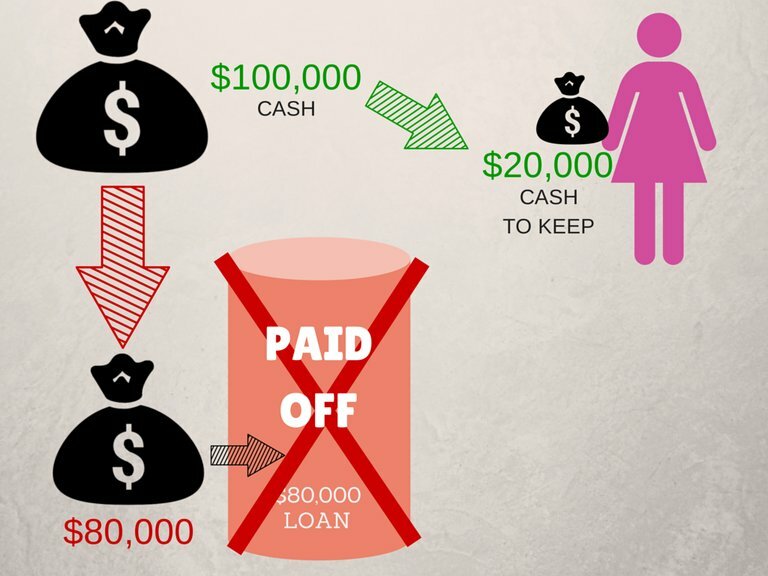 Banks don’t give out loans willy nilly. They want to know that if you default and they have to sell the house they will get their money back. So in the example below we owed the bank $80,000 and we had $20,000 in equity. So we didn’t actually “access the equity” we created a new loan. It’s the same as going to the bank and saying “I’de like a $20,000 personal loan” and they give you $20,000. 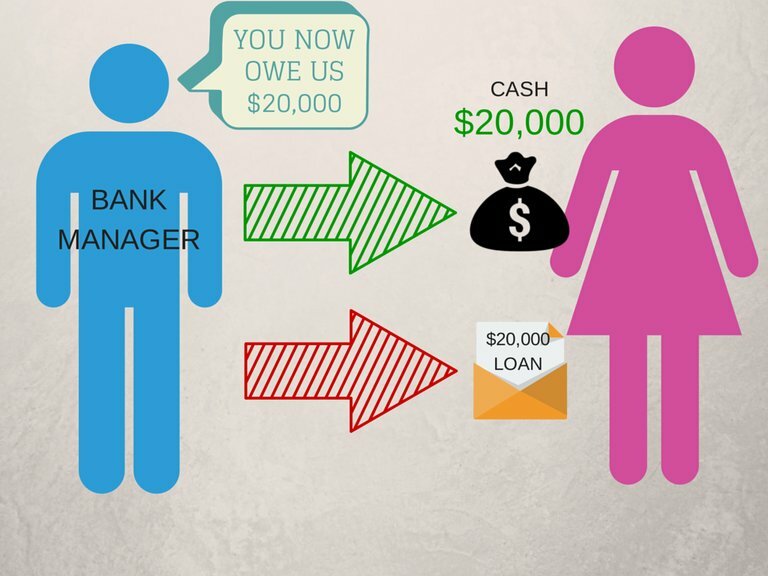 Yes you get $20,000 cash, but now you owe $20,000 to the bank. They cancel each other out…there is no gain. The same is true for “equity loans”. 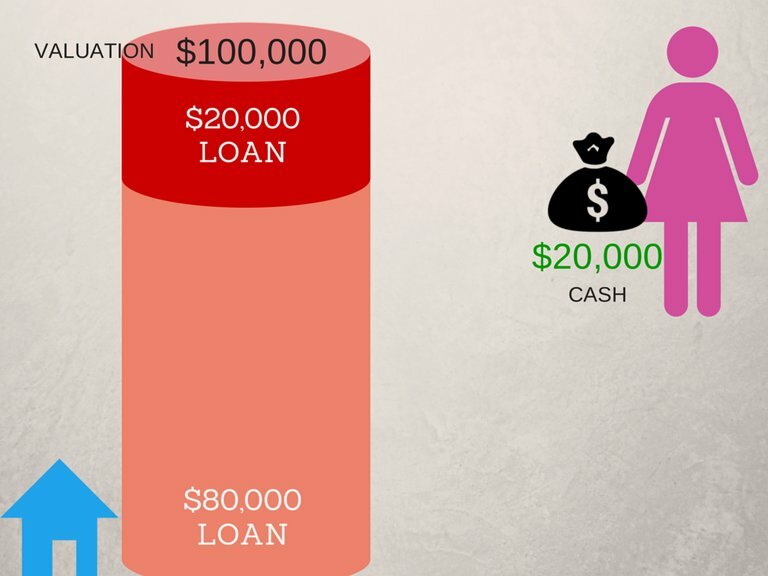 Even though people say they are “accessing equity” all they are doing is getting a new loan. The only difference to a personal loan is that interest rates are lower because the bank believes if you default they can sell the house and get their money back.